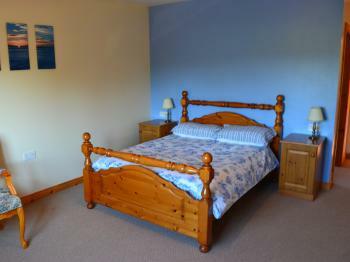 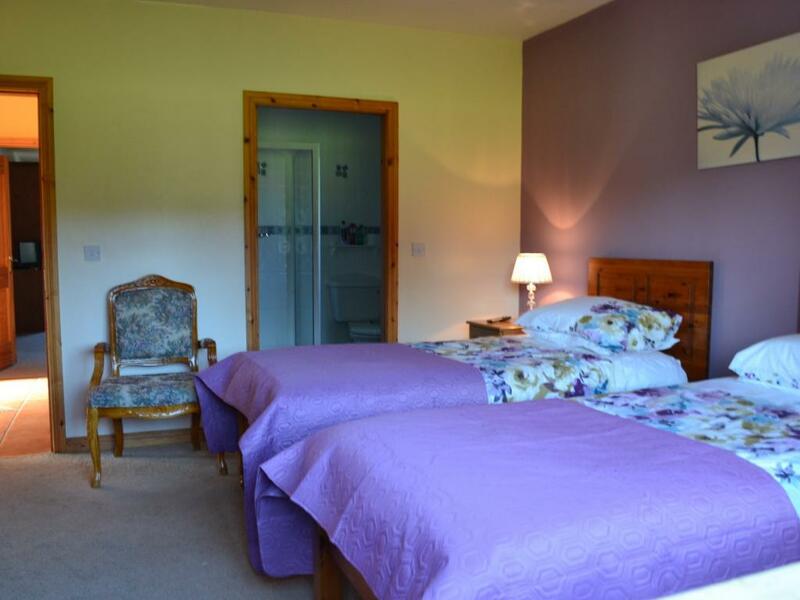 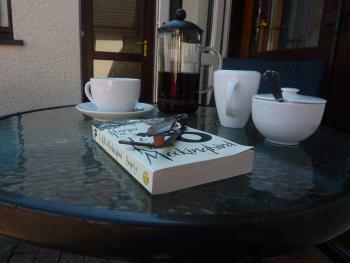 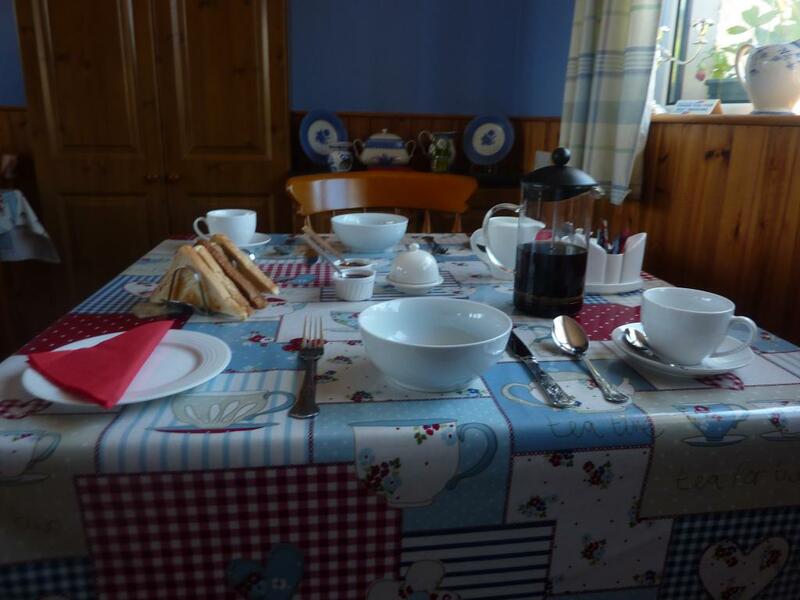 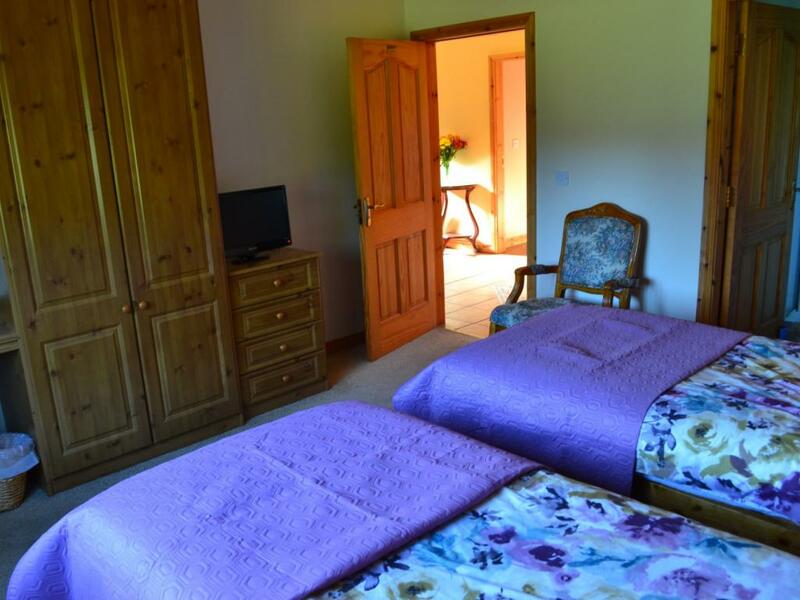 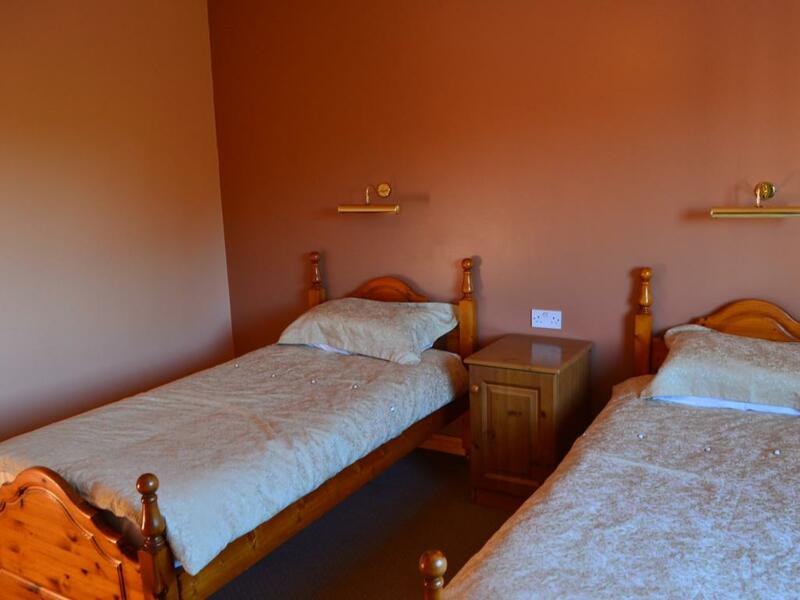 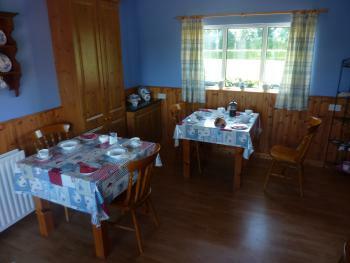 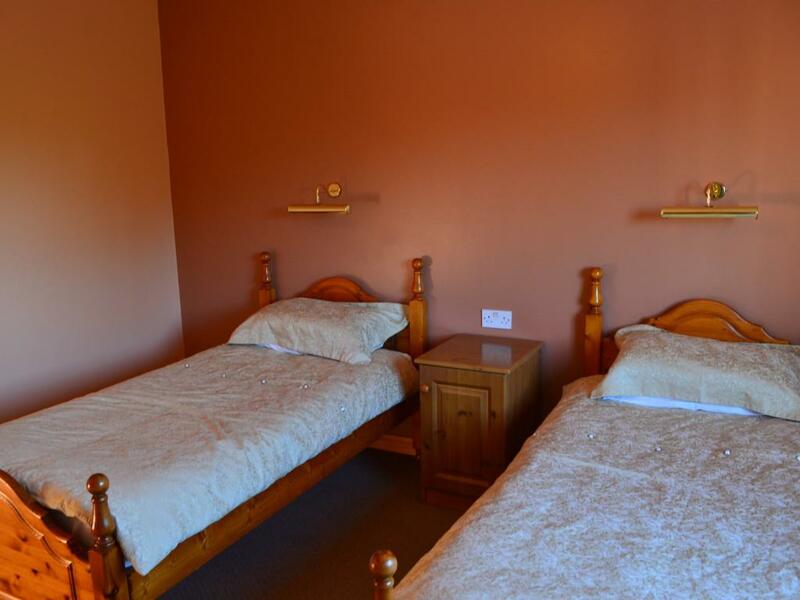 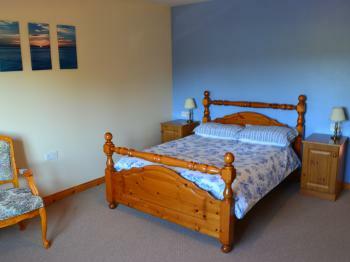 Our Double-Ensuite-Room is known as the Sperrins Room as it looks out towards the Sperrin Mountains. 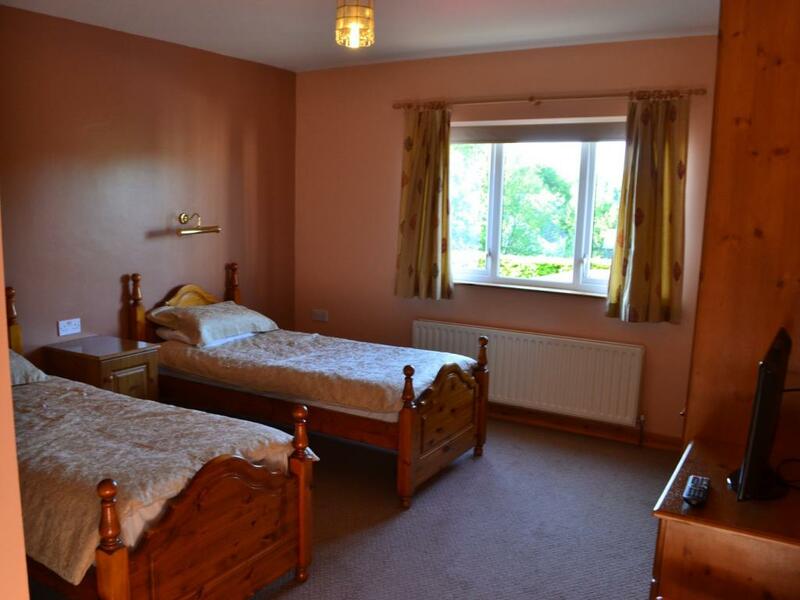 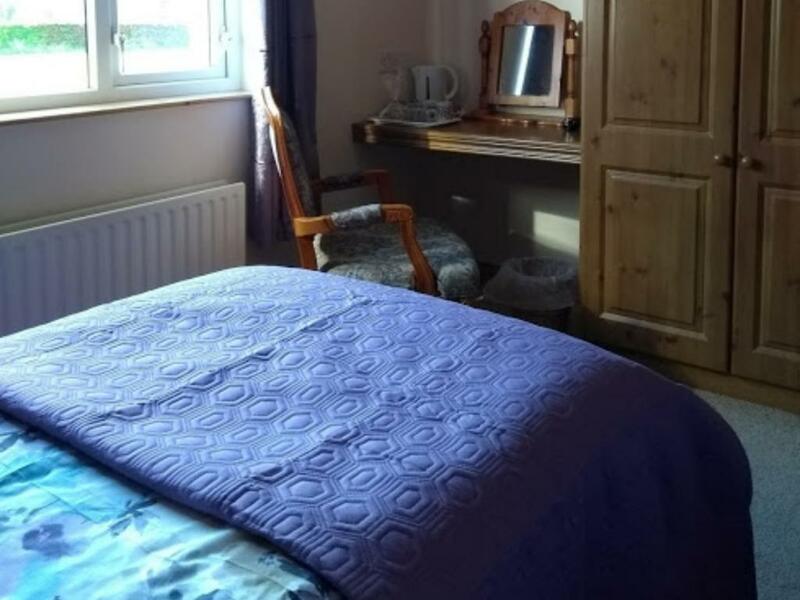 It has a comfortable double bed, flat screen TV, tea and coffee making facilities and a hairdryer. It is fitted out with ample drawers and wardrobe space to hold all your needs as well as a dressing table/desk. 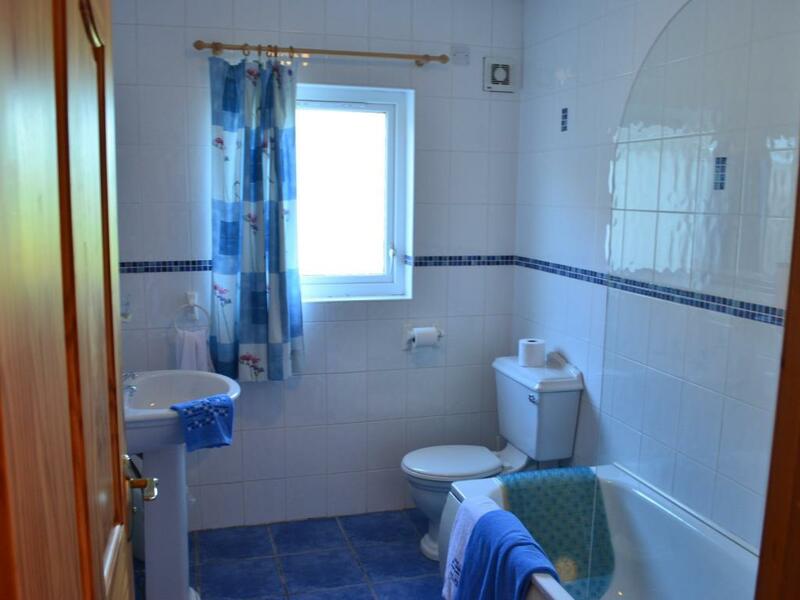 The modern ensuite has a bath with a power shower over it. 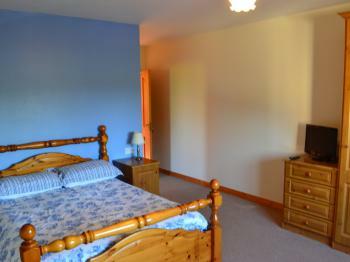 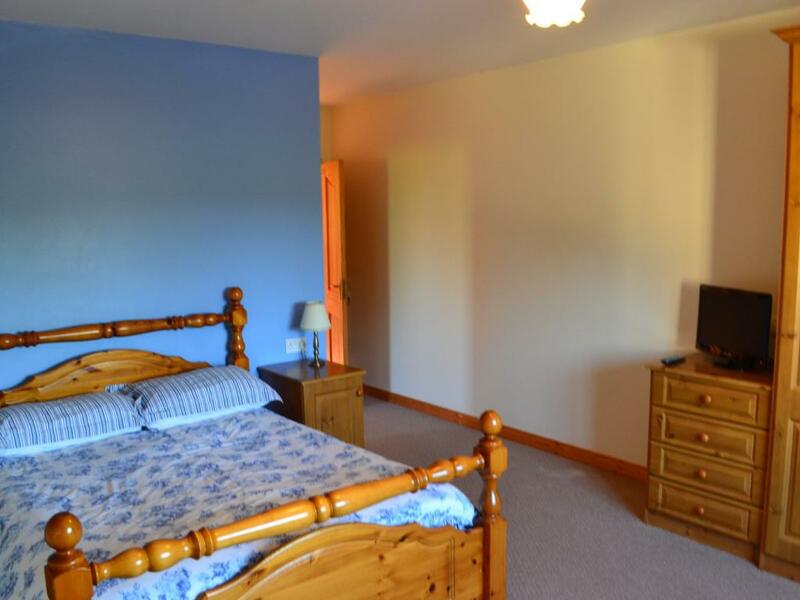 One of our Twin-Ensuite-Bedrooms is known as the Ballinderry Room. 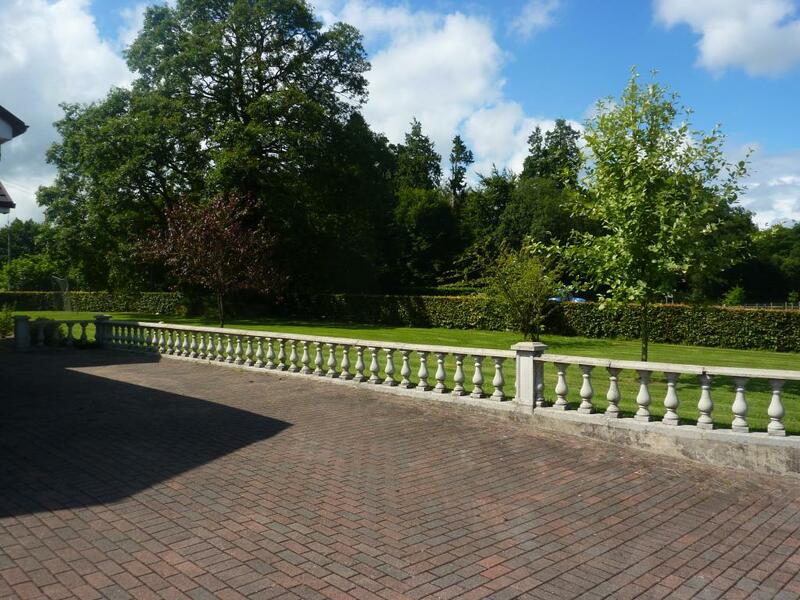 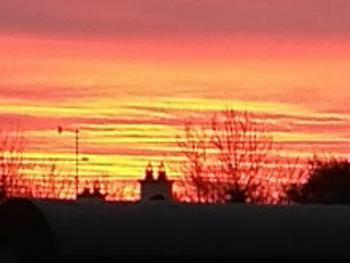 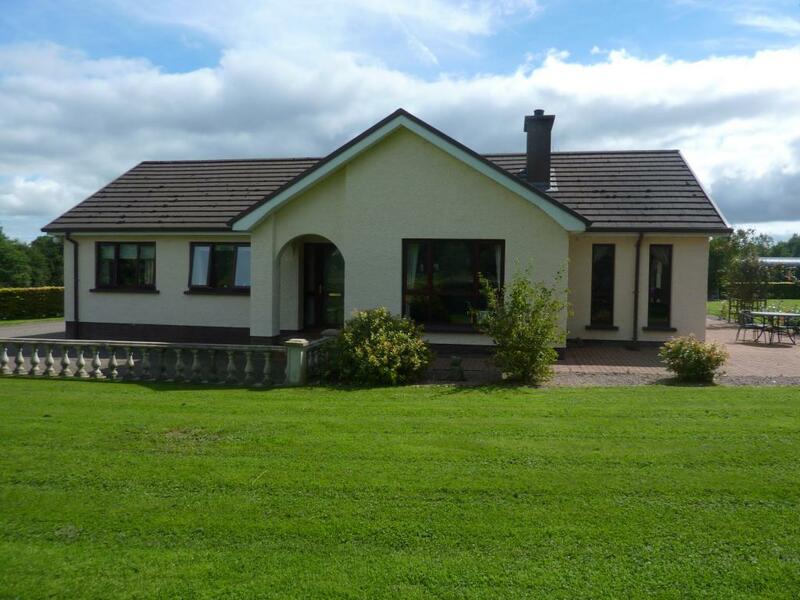 It looks out towards the Sperrin Mountains and although you can't see it from the room, The Ballinderry River is a short distance away. 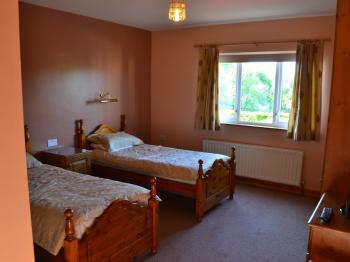 It has comfortable twin, single beds, a flat screen TV, tea and coffee making facilities and a hairdryer. 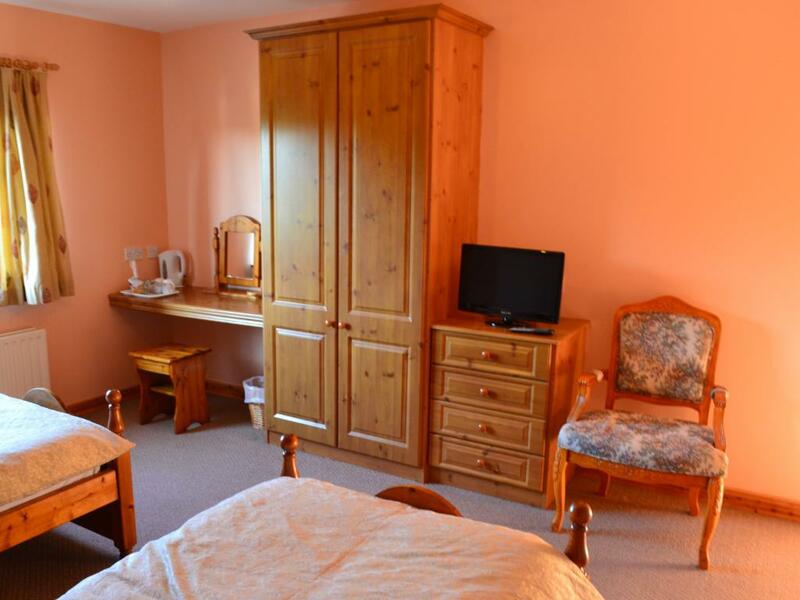 It is fitted out with ample drawers and wardrobe space as well as a dressing table/desk. 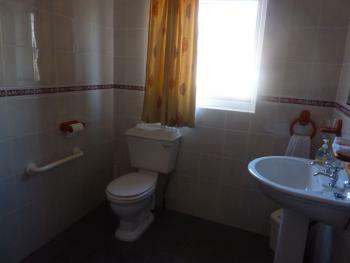 The modern ensuite has a level deck power shower. 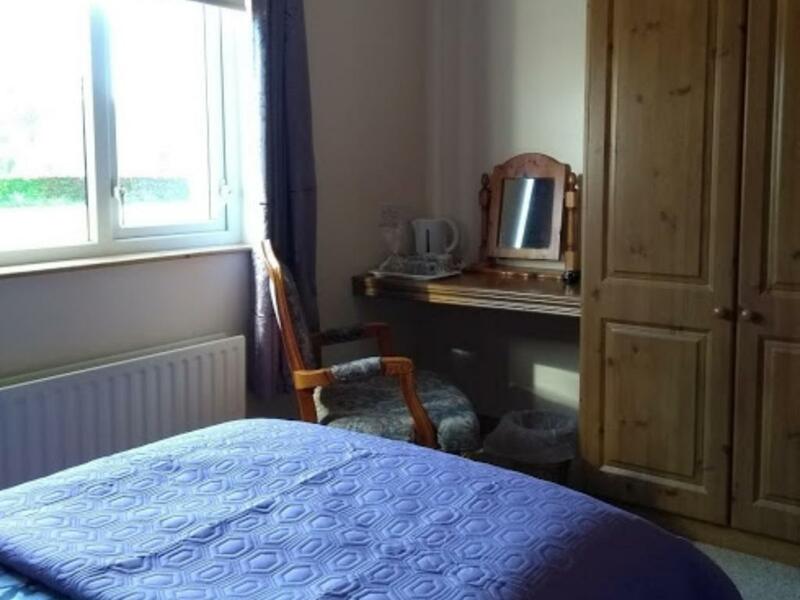 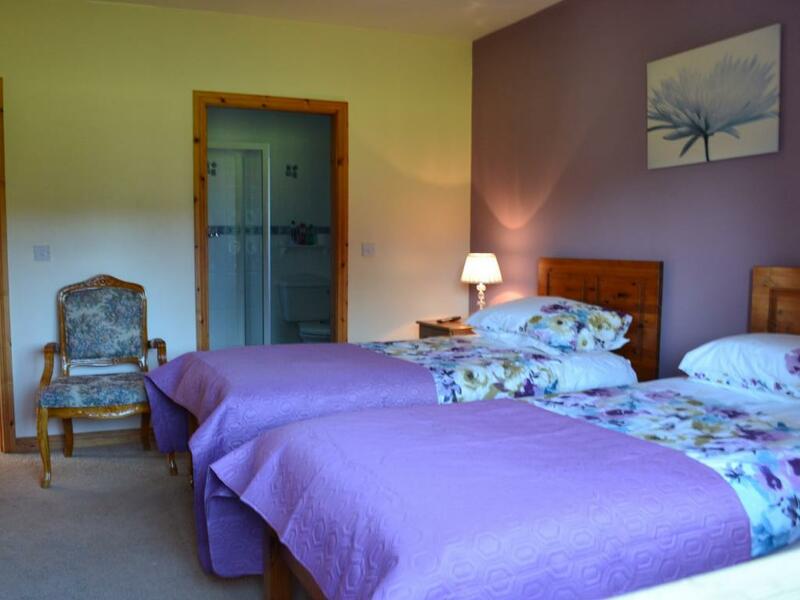 The other Twin-Ensuite-Bedroom is known as the Oaklands Room and has views of our large garden. It has comfortable twin, single beds, flat screen TV, tea and coffee making facilities and a hairdryer. 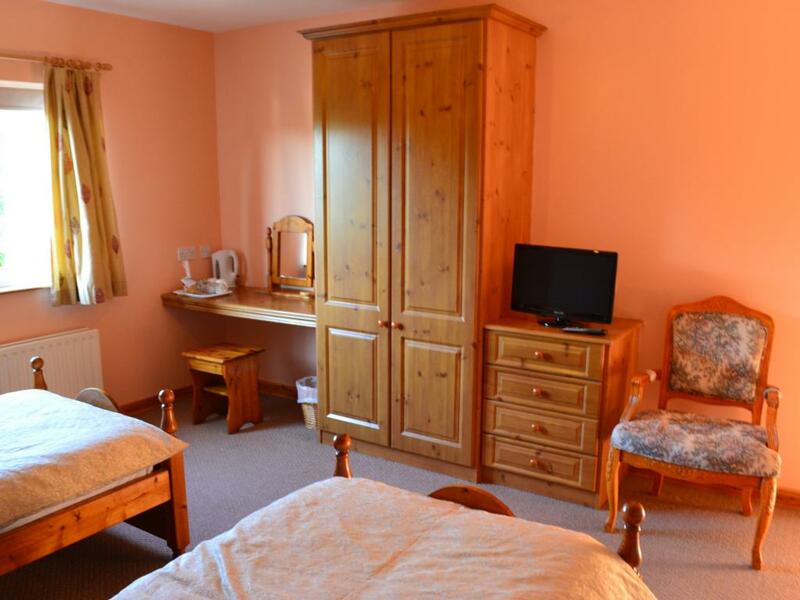 It is fitted out with ample drawers and wardrobe space as well as a dressing table/desk. 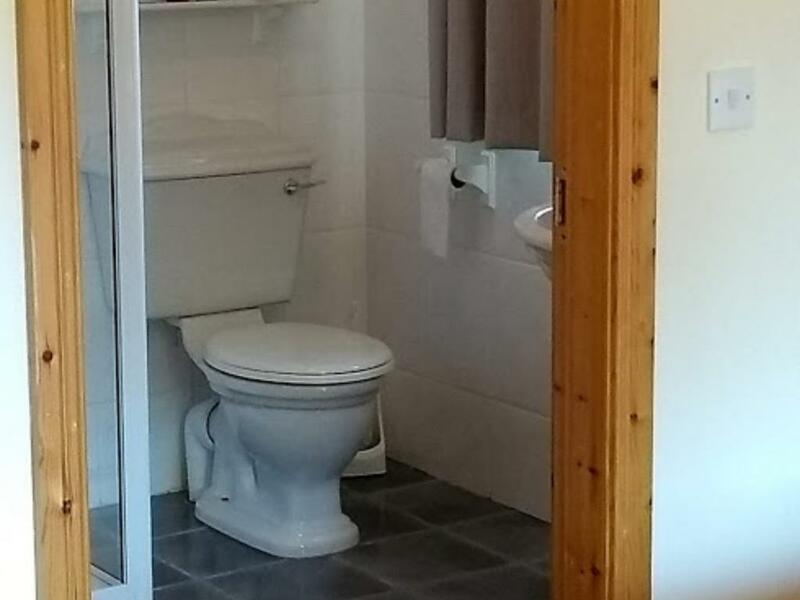 The modern ensuite has a power shower cubicle. 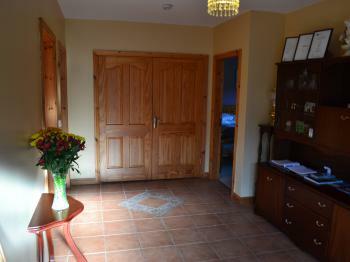 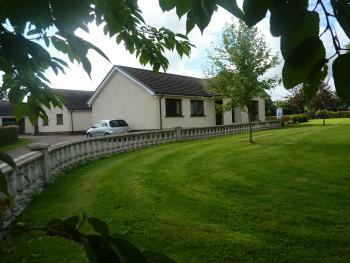 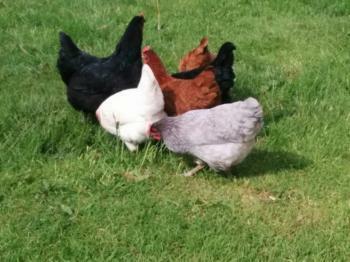 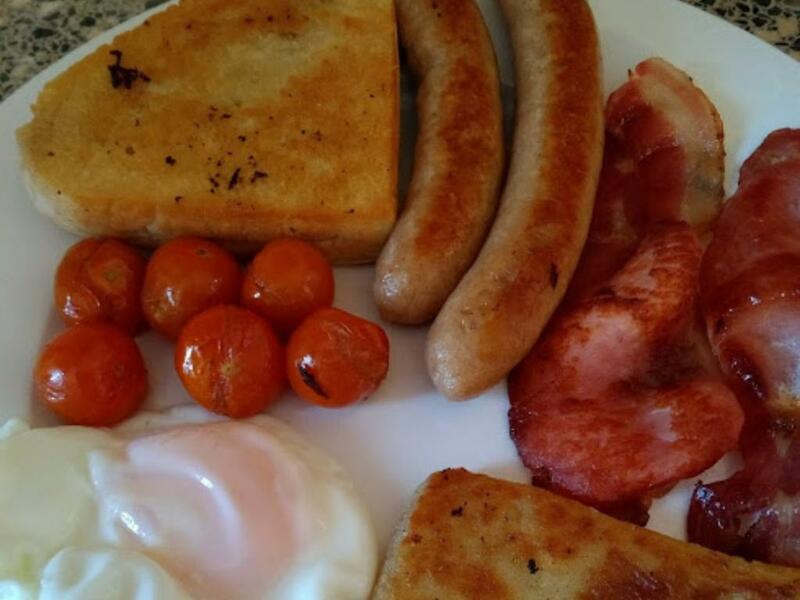 Our B&B is laid out all on one level with a compliant ramp and threshold at the entrance door. 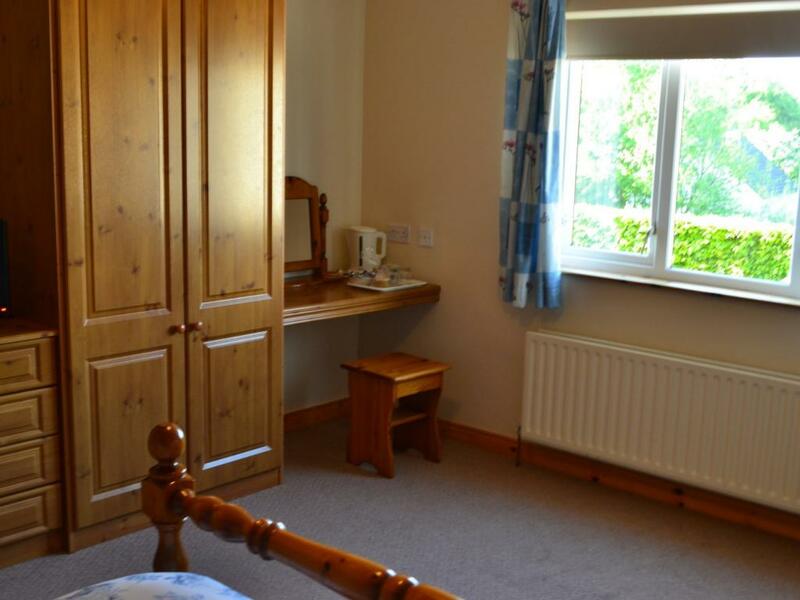 The doors into each room are capable of allowing a wheelchair easy access. 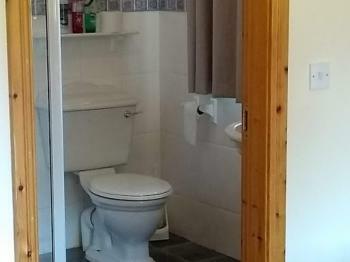 The ensuite to the Ballinderry Room has a level deck shower as well as a grab rail at the toilet and shower. From Cookstown take the main Cookstown to Omagh Road (A505). Travel approximately 2.5 miles. 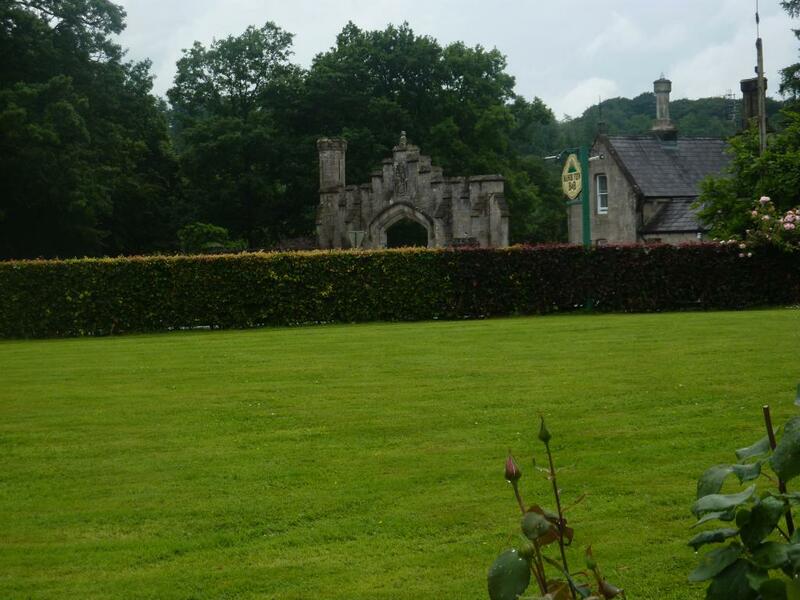 You will see in front of you a large stone arch, which was the original entrance into Drum Manor. 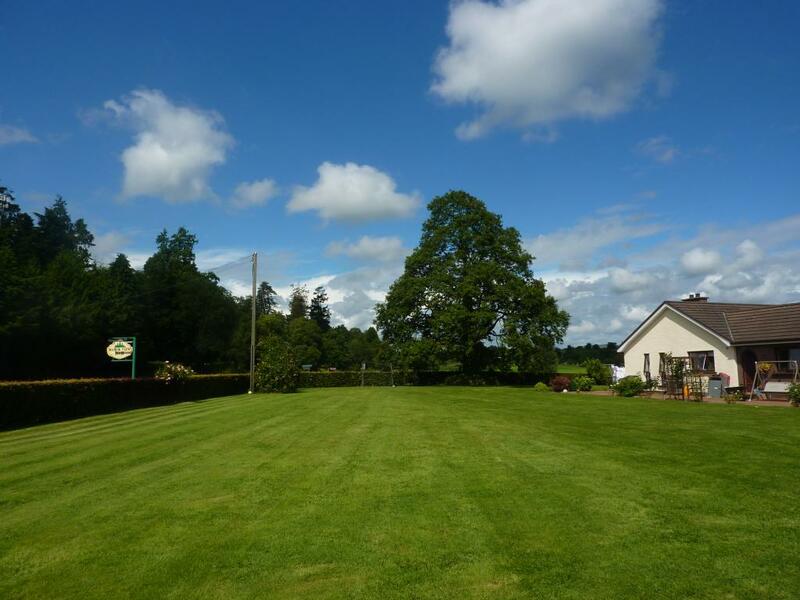 At this point indicate to turn right, move into the filter lane and turn right into Upper Kildress Road. Manorview B&B is the first entrance on the right.